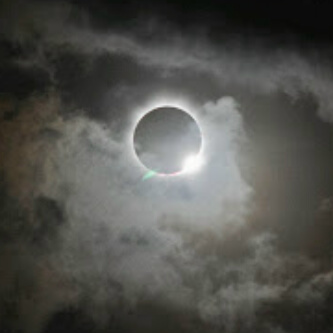 The National Space Research and Development Agency, NASRDA has predicted that the eclipse of the sun would be experienced across Nigeria on September 1. The annular eclipse is expected to occur between 7:15am and 10:03am with slight variations in actual timing across the country. Head of Media and Corporate communications of the Agency, Mr. Felix Ale, made the announcement yesterday as he stated that the agency would provide special solar filters to the public to watch the expected natural occurrence. In his announcement, he revealed that NASRDA has put in place a viewing centre at its headquarters in Abuja with proper eclipse viewing apparatus for school children so they could experience the annular eclipse as part of its continuous programmes to enlighten Nigerians and students on matters concerning astronomical environment. Ale however, explained that the natural occurrence will be high in the southern part of the country particularly in Lagos, where it is expected to have 80 per cent obscurity, while the lowest degree of obscurity will be observed in the northern part of the country, particularly in Sokoto which will be about 45 per cent. He also appealed to the general public not to be afraid or predict any mystical interpretations to the event, advising that nobody should observe eclipse with naked eyes. Ale further advised that the annular eclipse has no spiritual interpretation but a natural occurrence that can be accurately predicted by science, and that the NASRDA has developed the capacity to accurately make this prediction as part of its responsibility.